US space agency NASA is getting ready to launch mankind’s first mission to the sun: a car-sized probe called the Parker Solar Probe will loop around the sun while exploring its corona, the outermost part of the sun’s atmosphere, which reaches extremely high temperatures. "The spacecraft is buttoned up, looking beautiful and ready for flight," Nicola Fox, Parker Solar Probe project scientist at Johns Hopkins Applied Physics Laboratory, said during a NASA press conference Friday, Space.com reported Monday. ​The probe is expected to launch August 6 from Cape Canaveral, Florida, on a United Launch Alliance Delta IV Heavy rocket, which is the world's second highest-capacity rocket in operation. The craft will head towards Venus' orbit six weeks after it is launched. The planet's orbit will orient the probe correctly toward the sun, according to the scientists. "The launch energy to reach the sun is 55 times that required to get to Mars, and two times that needed to get to Pluto," said Yanping Guo from the Johns Hopkins Applied Physics Laboratory. "During summer, Earth and the other planets in our solar system are in the most favorable alignment to allow us to get close to the sun," Guo added, explaining why the launch date was set for August. The craft will also be equipped with a heat shield, a solar array cooling system and an advanced fault management system, NASA wrote in a July 20 blog post. The self-cooling solar array system, on the other hand, will allow the craft's solar arrays to produce power from the sun's thermal energy, while the fault management system will protect the craft in the event that it can no longer communicate with Earth. 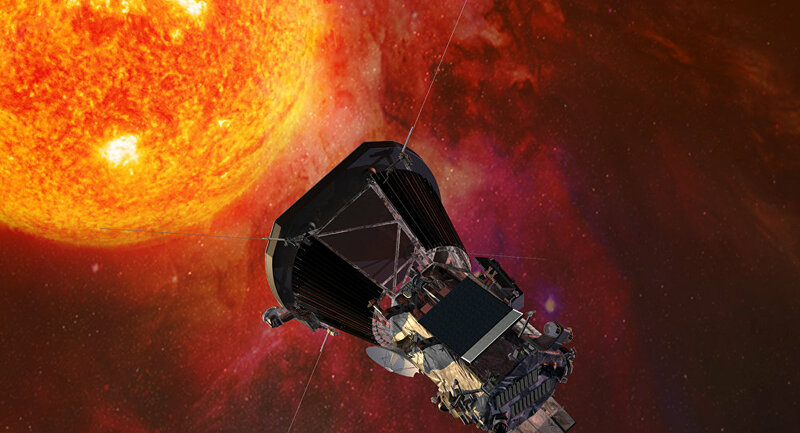 "If it detects a problem, Parker Solar Probe will self-correct its course and pointing to ensure that its scientific instruments remain cool and functioning during the long periods when the spacecraft is out of contact with Earth," NASA wrote in its blog post. The purpose of the mission is to help scientists better understand the sun. "We need to go to the corona because we have done so much science by looking at the star," Fox said during a NASA news conference about the mission on July 20, space.com reported. In addition to understanding the sun's corona and how it can reach temperatures around 300 times hotter than the sun's surface, scientists are also hoping to better understand solar wind, the flow of charged particles from the sun that permeates the solar system. "The solar wind goes from sort of a steady breeze to an actual supersonic flow from the corona going to millions of miles an hour," Alex Young, associate director for science in the Heliophysics Science Division at NASA's Goddard Space Flight Center in Greenbelt, Maryland, said during the conference, adding that the probe's measurements as it passes through the solar wind may help answer some of those questions. The probe will also look into how the sun blasts plasma, the fourth state of matter, into space. "The sun can blast out these huge blobs of material — billions of tons of solar atmosphere threaded with solar magnetic field traveling away from the sun at millions of miles an hour," Young said. "By studying our star, we can learn not only more about the sun," said Thomas Zurbuchen, the associate administrator for the Science Mission Directorate at NASA Headquarters in the NASA blog post. "We can also learn more about all the other stars throughout the galaxy, the universe and even life's beginnings."